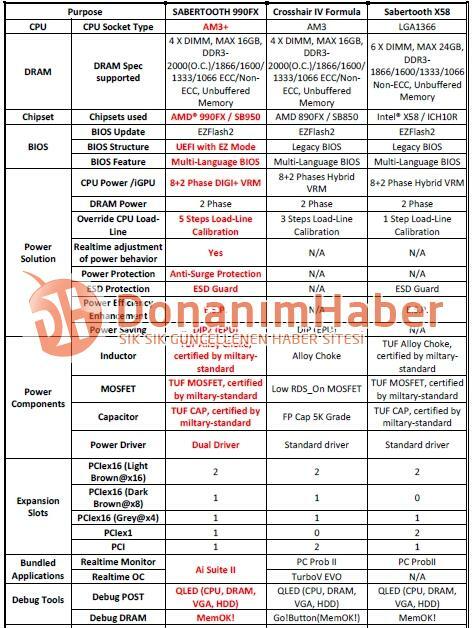 Donanimhaber just got details of Asus’s upcoming new Sabertooth motherboard which would feature which would feature AM3+ Socket supporting the Bulldozer based Zambezi FX Series Processors. 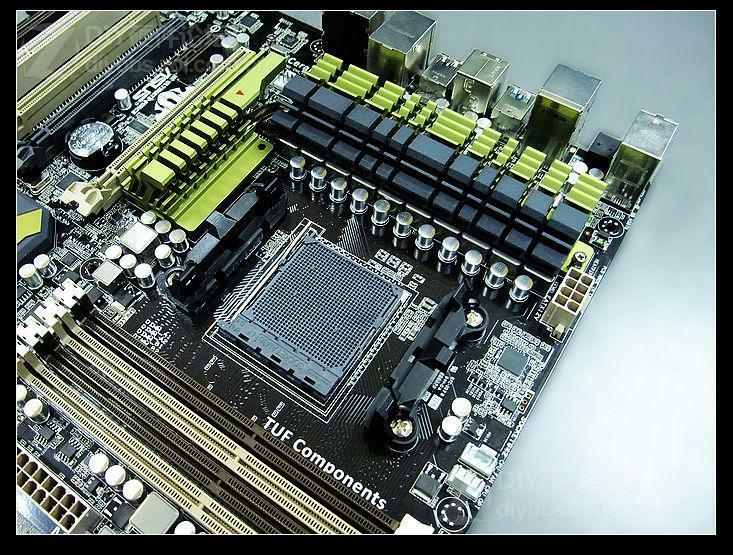 The motherboard includes the AMD 990FX chipset while SouthBridge consists of the SB950 chipset, Along with this the upcoming Crosshair Formula IV motherboard has also been detailed which would feature the AM3 (890FX) Socket which through a BIOS update will be able to support Bulldozer Processors. The Asus Sabertooth series is a line of high performance enthusiast motherboards featuring top of the line overclocking environments and high quality Military class C-Caps, VRM Phase, etc which allow upto 15% cooling performance than traditional heatsink designs. The Sabertooth uses a cooling design similar to the Intel P67 series based Sabertooth board with a large heatsink covering the 8 +2 phase VRM design (Digi +) while a small heatsink is located on top of the Southbridge. The 4 DDR3 dimm slots allow upto 16GB memory support with frequencies of 2000mhz+(OC). A total of 4 PCI-e x16 slots are located on the board all providing full x16 bandwidth and allow for Quad GPU configurations for both SLI and CrossfireX. GPU designs may limit the board for lesser Multi GPU options. 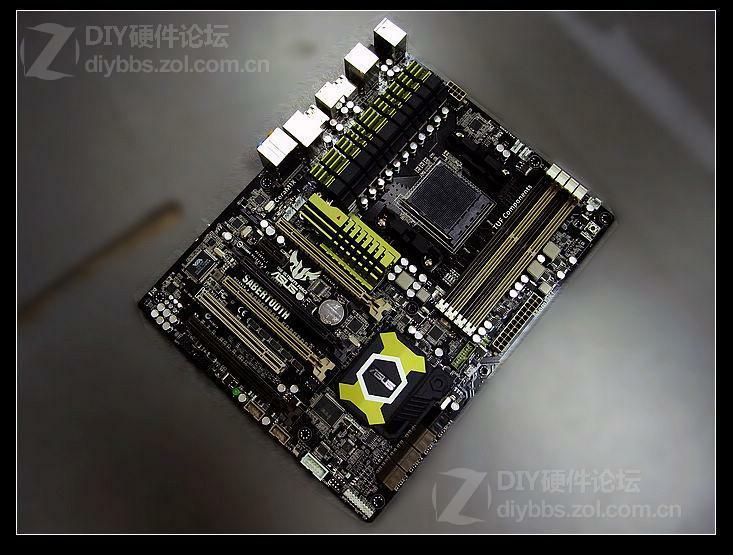 6 Thermal Sensors are located on different parts of the board which is part of the “Thermal Radar” technology which allow for realtime temperature monitoring of the board while overclocking. Connectivity ports include 14 USB 2.0 and 4 USB 3.0 ports while storage ports include 6 Sata 6Gbps, 2 Sata 3Gbps and 2 standard e-Sata ports. The board is bundled with Asus AI Suite II, PC Probe, Turbo V Evo software. 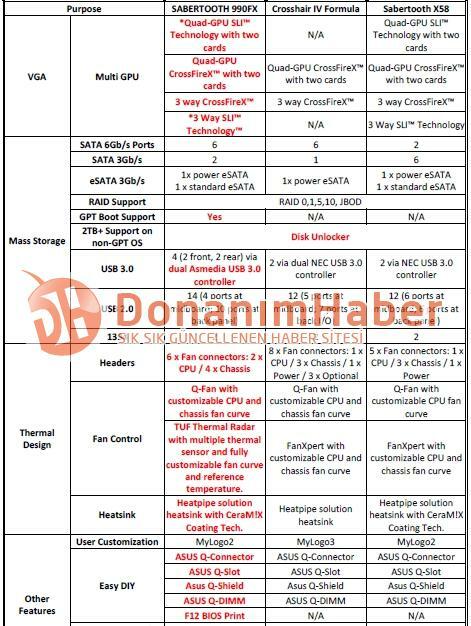 The board is likely to be announced on Computex 2011 event along with the Bulldozer release which you can check here.